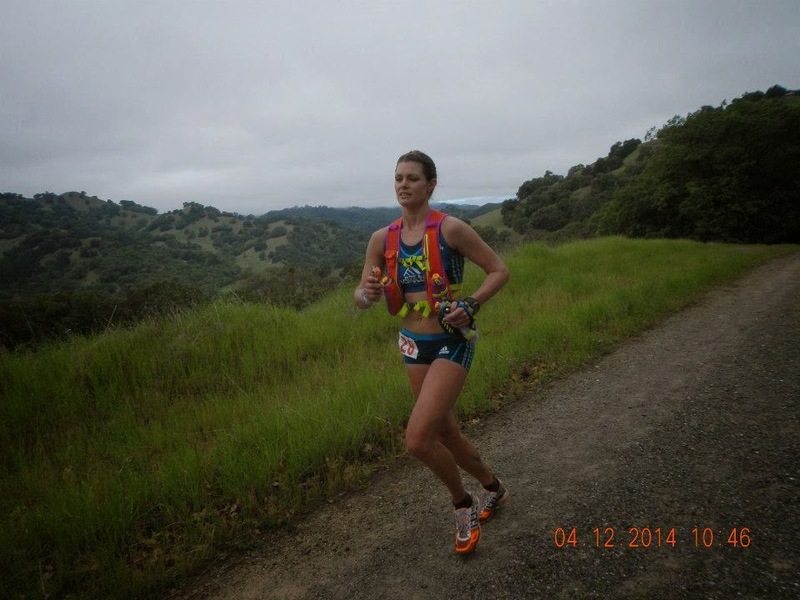 After Caumsett 50k, the focus switched to Lake Sonoma 50 Mile. 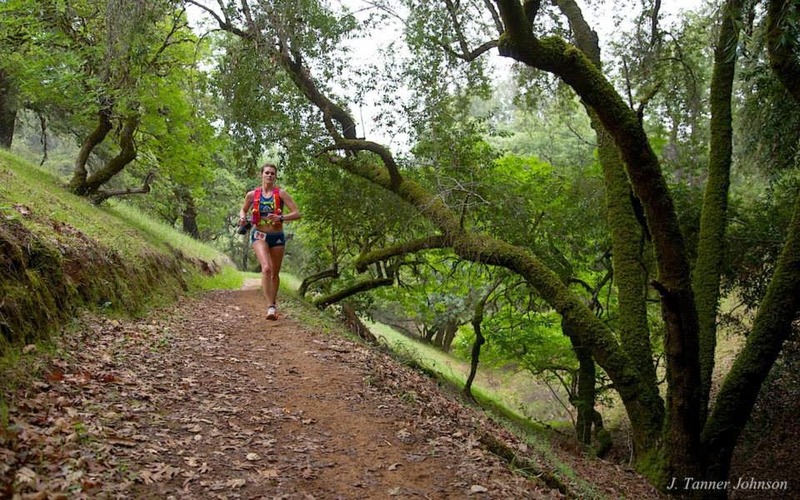 With only six weeks between ultras, there was no set training plan for Sonoma. The first priority was recovery from the 50k, then it was back to the trails for a month for a crash course in uphills and downhills. 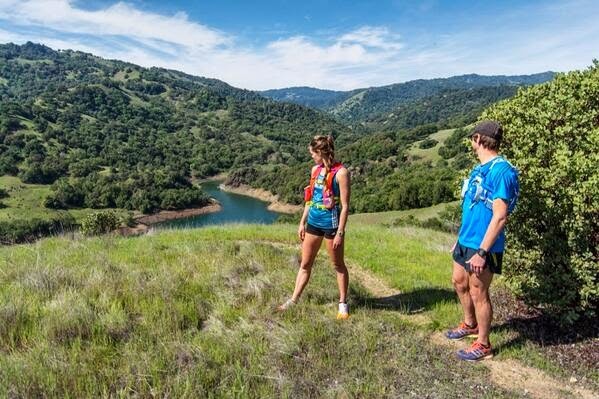 Lake Sonoma was lining up to be one of the most competitive 50 mile races of the year for both the men and women. 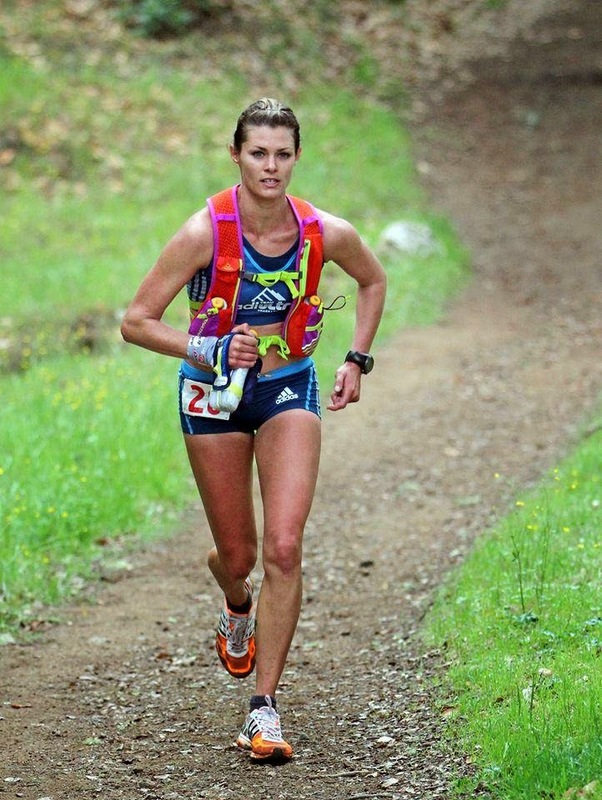 I wanted to be ready to compete at the front, but in order to do that I knew I needed to improve my fueling. 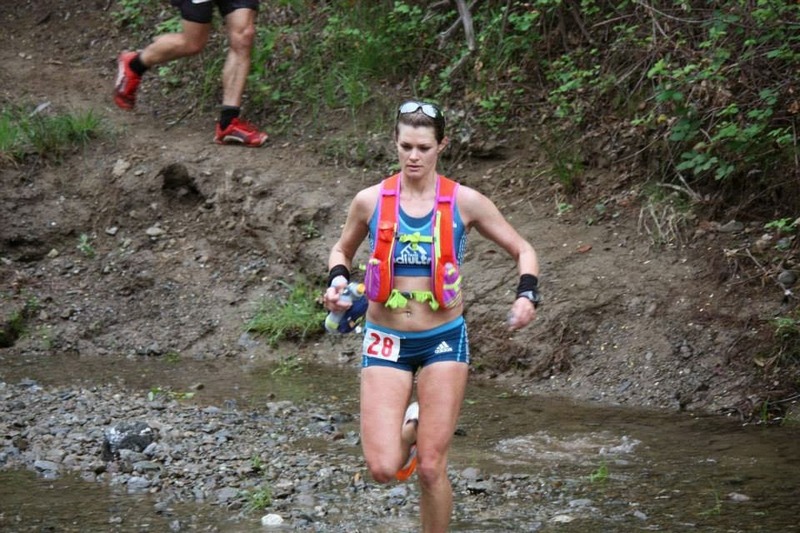 Overall, I was very pleased to have finally been diligent about my nutrition and hydration. It's amazing how much better my energy levels were in the final miles of the race. Maybe now I'll stop being so hardheaded to my own detriment? The day before, Ian and I met with Matt Trappe for a quick and dirty Nathan Hydration photo shoot. Not a bad view! During the first couple miles on the road, Sally McRae, Stephanie Howe, Jodie Adams-Moore and I quickly found each other. When we hit the trail, runners all around took advantage of the first major downhill and bombed down the trail. The next several miles were comprised of several lead changes and chit chat with Stephanie. 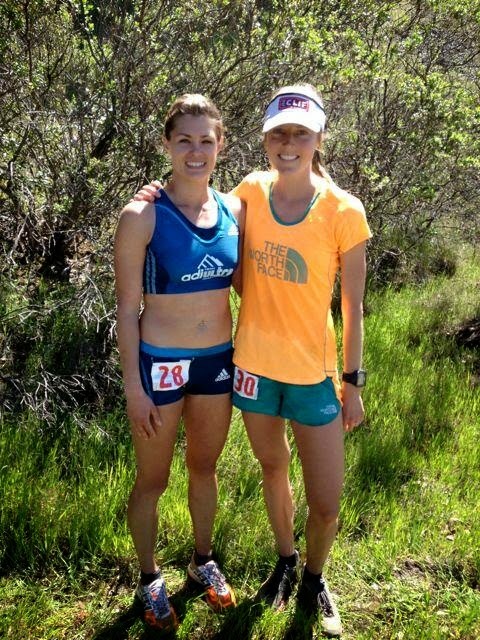 She had run Sonoma before, so she shared some tips of the trade about the course. had enough water to get your feet. At the Wulfow aid station (about 17 miles in), the break from the pack happened. It wasn't planned and at first I hoped it wasn't a fatal flaw. I made the rookie mistakes at 2012 JFK of pushing too hard too early, combined with no caloric intake. I did not want a repeat of that on a course I wasn't familiar with and with women waiting to pick up the pieces. I quickly did a systems check, felt I was still running comfortable, plus I had found a rhythm which is when I run best. I decided at this point I had to go with it. The rough patch. Not that it has to happen, but I'm not surprised it happened. I was started to feel my quads going a little before halfway, but otherwise I was doing fine. I saw Ian again at No Name Flat (25 mi) and we quickly did the bottle swap and got reloaded. It was foggy which was awesome to run through. The day before, this section of the course was sunny and warm. I was thankful that the sun hadn't come through yet, making it much cooler. also get a feel for where the other runners were on the 1.5 mile loop. Then I left No Name Flat and things started to fall apart a bit. For some reason, I struggled from No Name Flat to Madrone Point (30.9 mi). Twenty miles is a long way to go! After I saw Ian again at Madrone Point, I found my rhythm again and felt much better. My quads weren't getting any better, but there was nothing I could do about that. All in all, I wanted to keep running smooth and effortless for as long as possible. If I had to respond, I wanted to be able to. After Warm Springs Creek aid station, it's a long 12 miles without seeing your crew. It was nice to see a familiar face in adiultra teammate Brian Tinder at the small out and back at 45.5 miles. 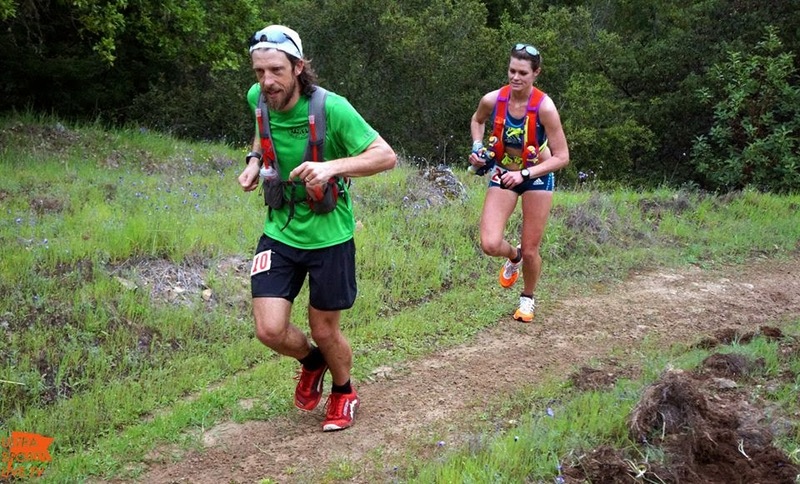 Joe Uhan was also hot on my heels and ended flying past me a couple miles from the finish. More beautiful scenery of the course. The day finished with a win and new course record of 7:26:15. I was very happy with day! Race Director John Medinger, his wife Lisa, and all of their volunteers provided outstanding accommodations for the weekend. Thanks to Ian for crewing and making the whole process seamless. 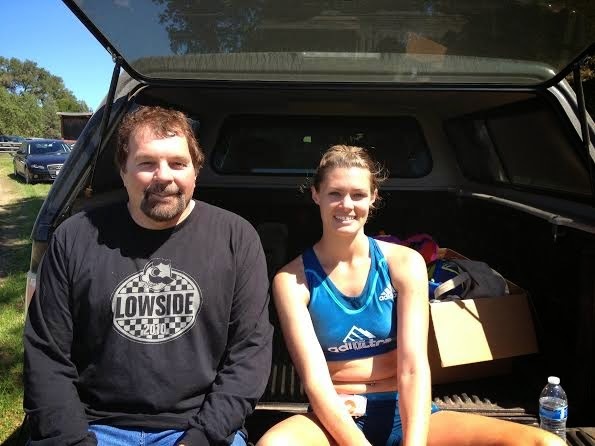 Stephanie Howe and I post-race. Hanging out with Mike (my Mom's HS swim coach) post-race. 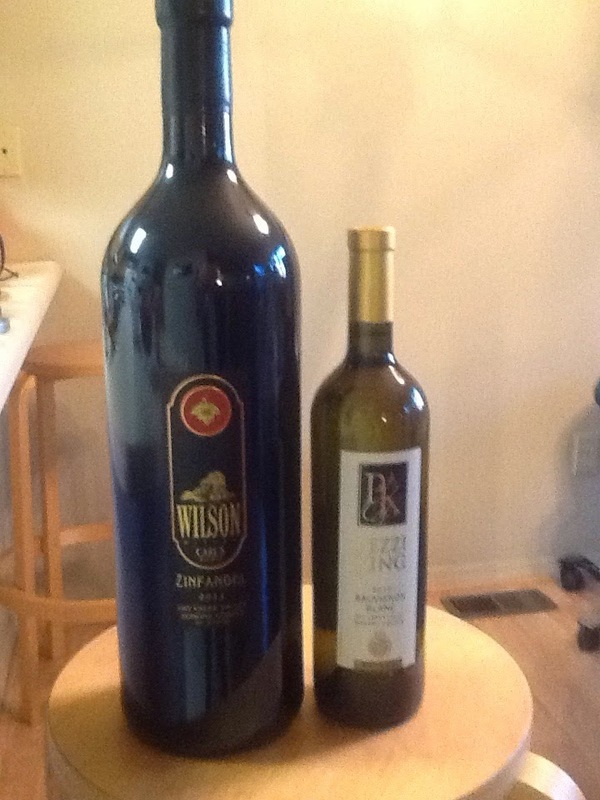 To top to it all off, I received the biggest bottle of wine I've ever seen! Bee and Z really only care about the ball in my hand. A bonus photo of an awesome sunset in Flagstaff on Earth Day. 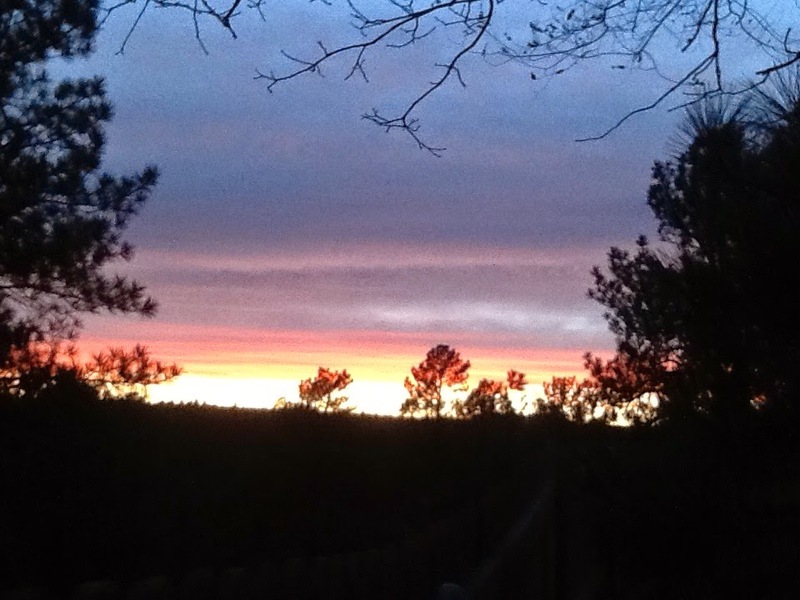 Taken from the back deck. Photo credits: Chihping Fu, Ian Torrence, Joseph Condon, Matt Trappe, and Nate Dunn. 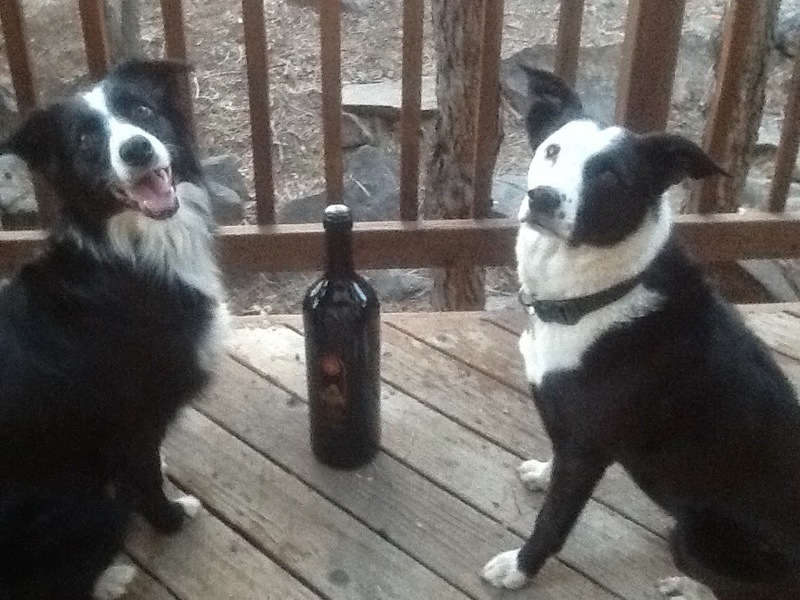 Is the wine bottle empty yet? 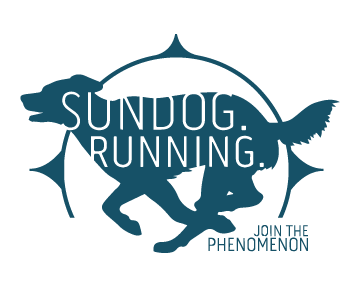 Coach at Sundog Running. 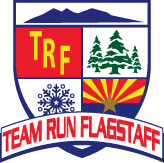 Runner for Nathan Sports, Squirrels Nut Butter, Aravaipa, Team Run Flagstaff Pro & Kahtoola.